By using Customer Groups, you will be able to organize your CRM and apply specific discounts or tax exemptions to members of the group. Customer Groups gives you the ability to organize your customers into different organizations. 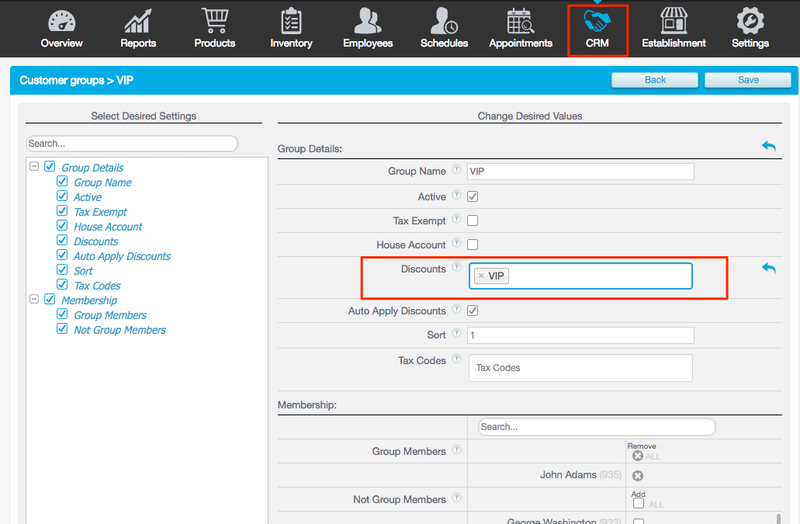 Before you can apply customers to a group, the Customer Group will need to be created in the Management Console. In the Management Console, start by navigating to the CRM tab. Select Customer Group, then click Add Customer Group. Type the name of the group, then click Save. To add customers to this group, click the pencil icon. 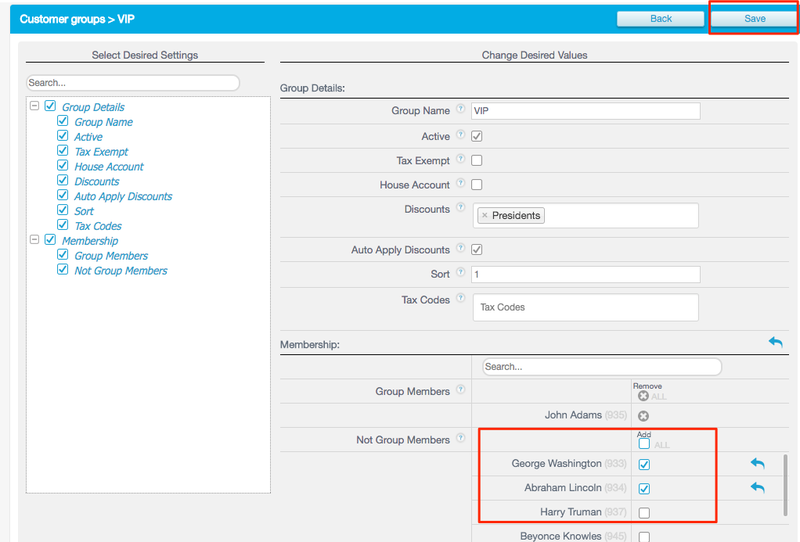 Under the Membership section, click the box to the right of the Customer Name. This action will apply the customer to this specific group. Customer Discounts gives you the ability to automatically apply a discount to all members of your customer group. When adding a customer to a sale, you have the ability add the discount manually, or set it to apply automatically. Go to Products > Discounts and add a Customer Discount. After that, navigate to the CRM tab and select Customer Groups. Click the pencil tab for a Customer Group. In the Discounts box, type the name of the Customer Discount. If you would like this discount to automatically apply when the customer is added to the order screen, check the box for Auto Apply Discounts.